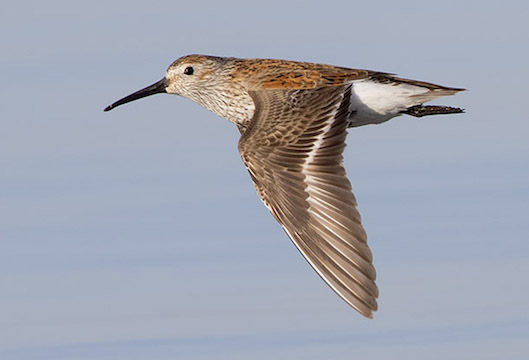 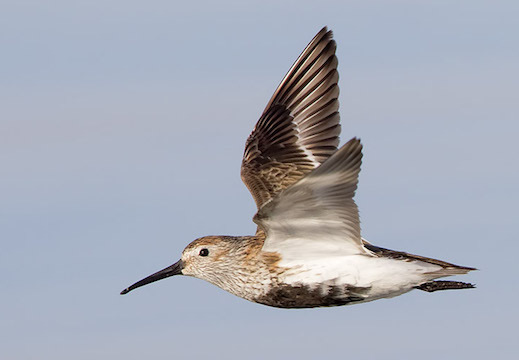 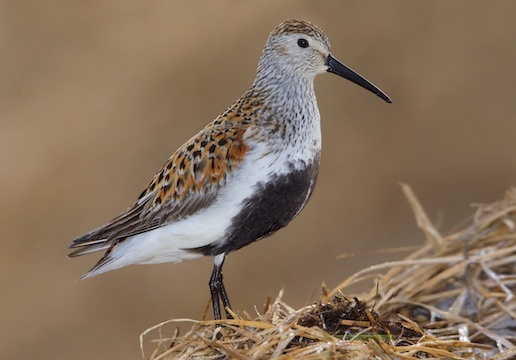 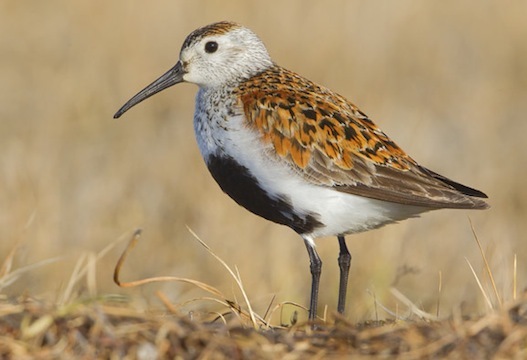 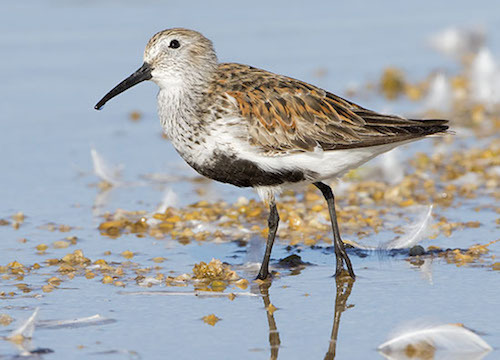 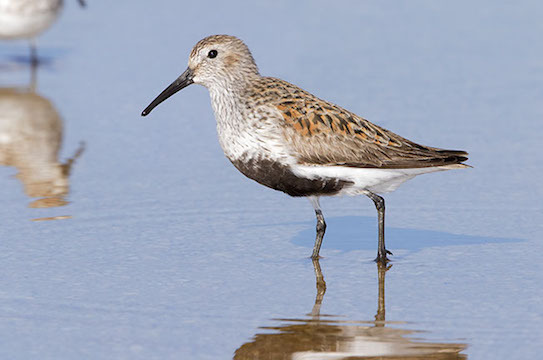 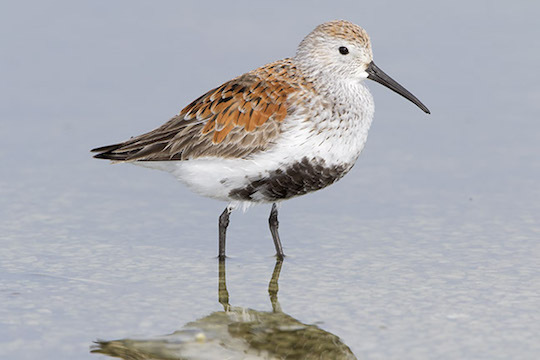 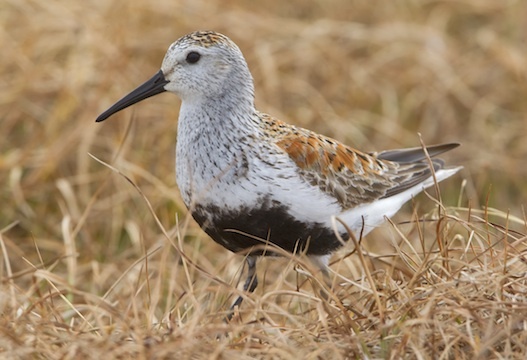 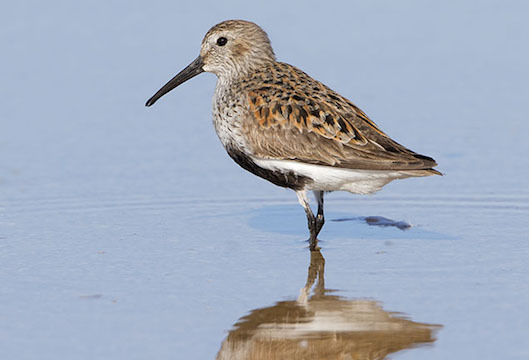 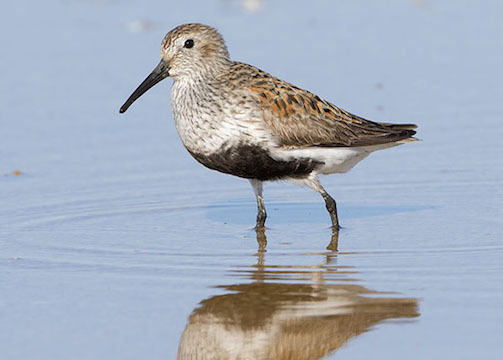 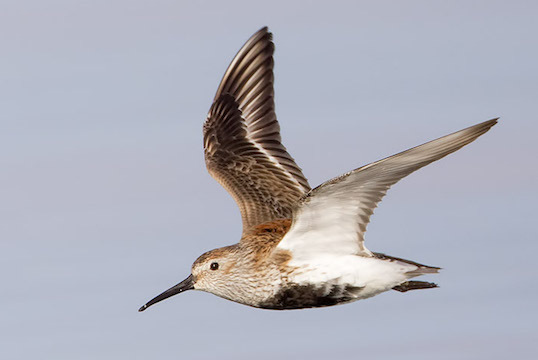 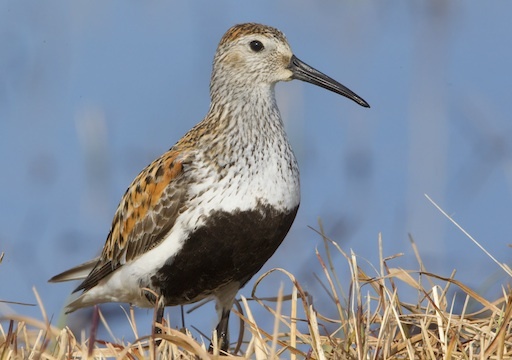 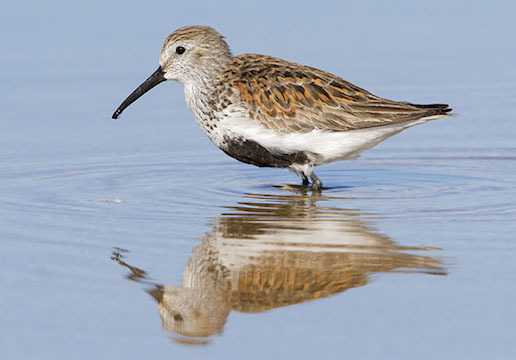 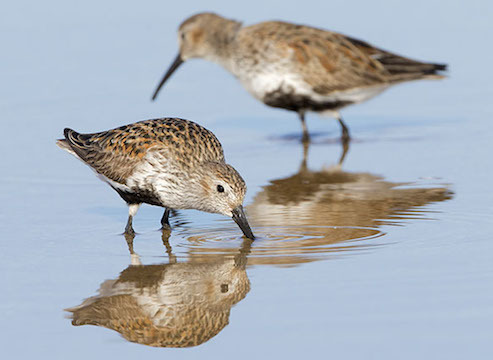 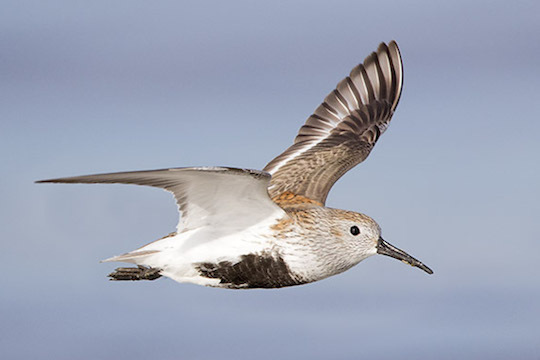 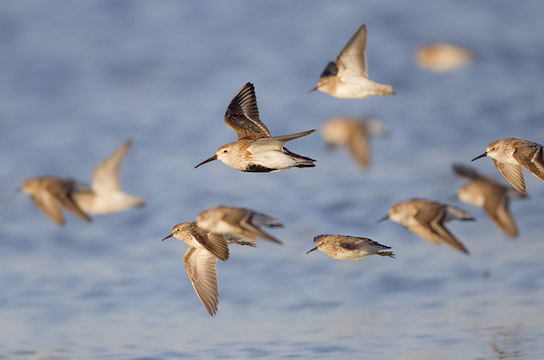 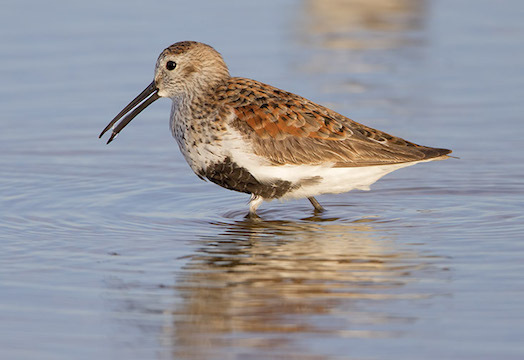 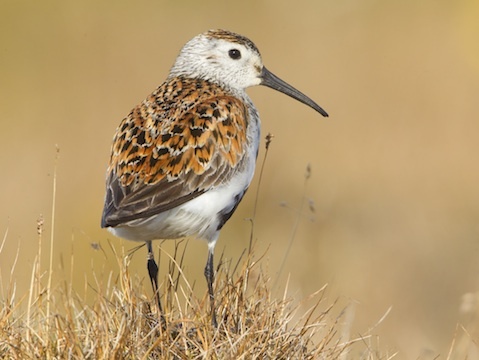 For a brief period in spring in summer, dunlins of both sexes are in the bright rufous-backed and black-bellied breeding plumage shown here, but in winter they assume the conservative garb shown on this page. 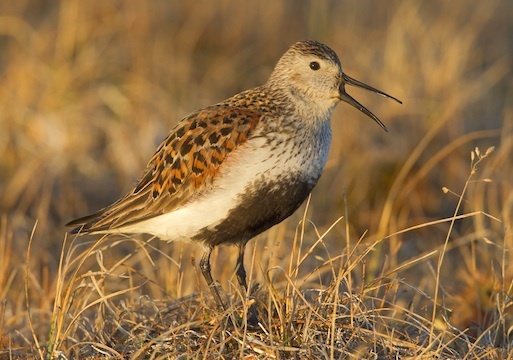 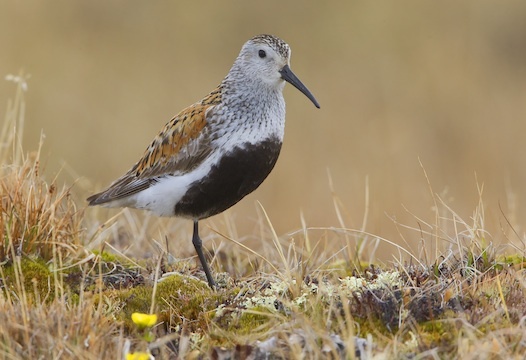 Dunlins breed on the tundra at high latitudes, and males display with nearly constant trilling calls and flights. 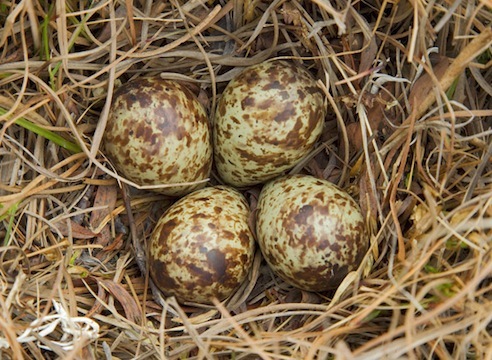 Nests are on the ground (there is little choice in tundra habitats) and have 4 highly camouflaged eggs. 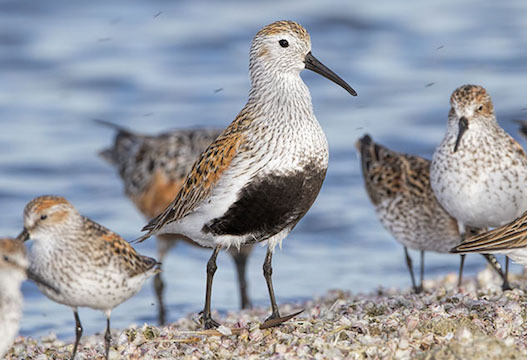 These photos were taken in April at the Salton Sea in southern California, and in June near the small Arctic coastal town of Barrow, Alaska.